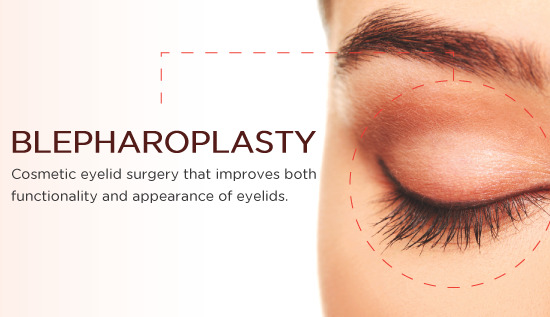 A blepharoplasty is a procedure to repair drooping eyelids. This procedure may include the removal of excess skin, muscle and fat. Weakened muscles that support the eyelids can stretch as we grow older. This can lead to excess fat gathering both above and below your eyelids. This can create a sagging appearance around the eye and cause the patient to appear to have “bags” under their eyes. In addition to being aesthetically displeasing, excessive sagging can block peripheral vision and create sight issues. Whether you want to alter your eyelids for cosmetic reasons, or because it is interfering with your vision, our skilled facial plastic surgeon can help.